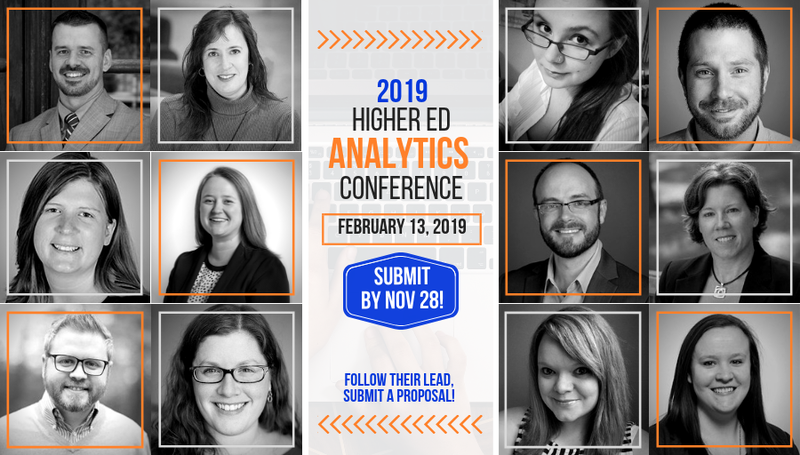 The 7th edition of Higher Ed Experts’ Higher Ed Analytics Conference is seeking presentations for the 2019 edition. If you are doing interesting work with analytics at your institution, you should think about submitting a presentation. HEE’s conferences are interesting in that these aren’t hour sessions, instead the conference features twelve 10-minute sessions. I like this format as it really forces you to get to your topic, data, and take-aways quickly. The conference is scheduled for Wednesday, February 13, 2019 and the call for proposals closes on Wednesday, November 28, 2018. If your proposal is accepted, you will receive a free registration for the conference that you can use to attend with your entire team. More information is available on the conference website. See you in February! Previous Previous post: Is your server running TLS 1.3?